The Office of Fair Trading is 'ineffective and timid' where dodgy payday lenders are concerned, a group of MPs has claimed. It has been the subject of fierce debate ever since recession hit and people started losing their jobs. 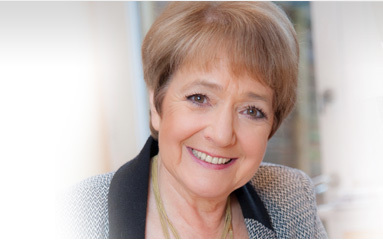 But now, the whole payday loans thing has caught the attention of the formidable Margaret Hodge, who has turned her sights from Google’s corporation tax to the OFT’s regulation of the loan sharks. She said that the OFT has ‘never given a fine to any of the 72,000 firms in this market’, and also said that the regulator ‘rarely revokes a company’s licence’. Her committee, the Public Accounts Committee, identified that the OFT had only spent £11.5m regulating the payday loans market in 2012, which is apparently very low by the standard of regulators in other sectors. Hodge went further, describing the investment as ‘paltry’. She says the regulator ‘could easily have increased its fees, especially to larger credit card companies who only pay a £1,075 fee, and used that income to raise its game as a regulator. Hodge is becoming pretty adept at getting people’s backs up at the moment, and it looks like she is rather revelling in her reputation as a one-woman battle axe. Knowing government/Whitehall, it will take at least 15 years before any force is brought to bear on the payday lenders. Best to keep away from them, if you can. What's still holding women leaders back?